Most people don’t realize the amount of technology required to run a successful, ethical, and profitable modern dog grooming salon. High tech solutions to everyday problems can save money, time, and resources. Below, we’ll explore the essential technology that all dog grooming shops should have. A successful dog salon starts with a talented and attentive staff. Many animal lovers want to become dog groomers, but it takes more than loving animals to make it in this challenging field. With so many applicants and hopefuls knocking at your door, how do you decide who will be the best fit for your company? Applicant tracking systems are advanced pieces of software that can help manage your human resources, recruitment, and hiring tasks utomatically. The software simply and seamlessly collects, tracks, and sorts applications from hopeful employees. By weeding out the applicants that aren’t qualified, and organizing the ones that are, you can move through the hiring process much faster and with better results. When health and safety of your canine clients are on the line, a quick and simple screening and testing process for applicants is a must. One mistake by an inexperienced new employee could not only harm your business, but your clients’ beloved pets, too. Applicant tracking software helps ensure the right people get hired and your reputation stays intact. Another smart piece of dog grooming technology is a client dashboard and information center. These are used for communication, reviewing past services, and even uploading and storing photos of your clients’ pets. This is a great option for clients to keep track of their favorite styles for their dogs, and it helps your employees make sure the right pet gets the right service. Groomer clients love to stay involved with their pets. A cloud-based dashboard gives them the tools to stay in touch. It’s also easy for them to update information on their own, without having to call and take up your time. It’s convenient for clients because access is 24/7, even if your shop isn’t. And best of all, it’s a perfect place to store veterinary information to be sure you always know what’s happening with your furry customers.? The client dashboard is also the perfect place to provide educational materials, information packets, official forms for services, and send promotions. Engaged clients are more likely to be repeat customers, so give them a reason to visit your website or app. The more time you can spend grooming your clients’ dogs, the better job you’ll do. That’s why providing simple and efficient ways for customers to set up appointments, check availability, and sign up for automatic reminders is a win for everyone. Your staff spends less time answering phone calls and more time with the dogs. Your clients have the ease and accessibility of scheduling appointments at their convenience, even when your shop is closed. It’s not only dogs who suffer separation anxiety when it’s time for a trip to the groomer. 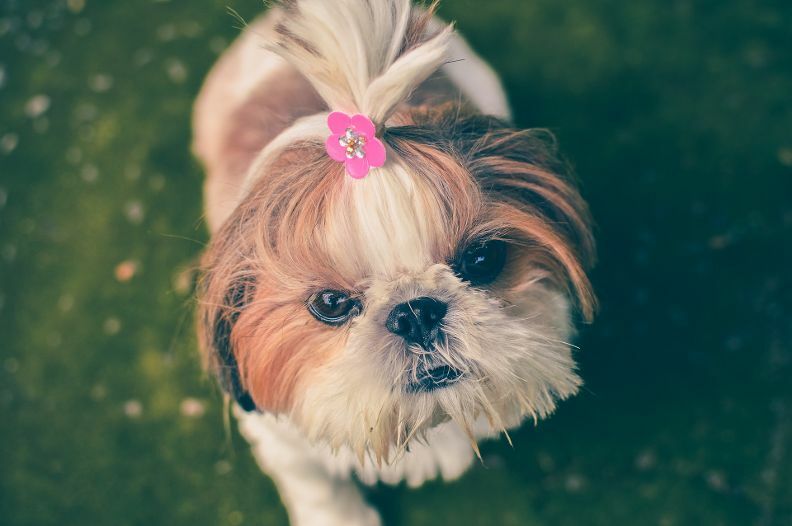 Many pet parents are anxious leaving their precious pooches alone at the salon. Help your clients and their pets stay connected via Bluetooth cameras that can send video or still pictures at the tap of a button. It’s a great way to keep your clients in the loop and can offer a measure of comfort for lonely pets if the cameras go both ways. get better. As more and more groomers switch to high-tech solutions to run their businesses, software companies and innovators will come up with more efficient and affordable options for you.